The Happy Homebodies: What Do I Do With These Gifts? We got some some really great wedding gifts, but some of my favorites were the fine china and the white dishes. I registered for all white dishes with dreams of having open shelving in my kitchen, a dark wall and some beautiful white dishes stacked just so! We haven't tackled the kitchen remodel yet (well, a few parts of it have been tackled), and it doesn't look like I will have any open shelving. 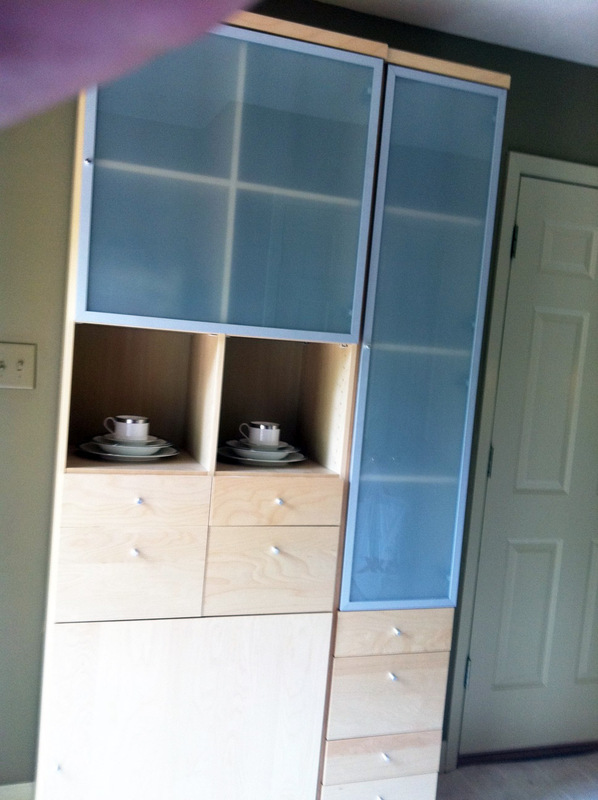 I was desperate for a place to display my new treasures so I began the search for a china cabinet. It was like a lightbulb went off in my head. 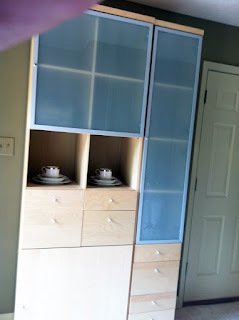 I didn't want this cabinet taking up space in the already-small guest room, so why not use it as a china cabinet? 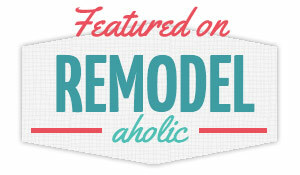 Let me tell you, getting that cabinet out of that room was quite a challenge! She must have built that thing inside the room, because it is very tall and the house has a very narrow hallway. Poor Scott was basically trapped in the hall closet, holding up this entire cabinet while I directed him down the hallway. The cabinet eventually made it to the kitchen, and I filled it up with my new wedding goods! As I usually do whenever I make a decorating change, I sent this picture to my mom (thank goodness for iPhones) to get her opinion. Her response? "Great idea! You should take off the doors!" I've got a beautiful white pitcher and two serving bowls from Tar-jay, my Ralph Lauren china (thanks Aunt Joy and Aunt Kim! ), champagne glasses from our first toast (thanks Cassandra! ), a hammered glass bowl full of pears (thanks Lauren!) and my dotted Kate Spade wine glasses (thanks Mrs. Leeper!). I'm so happy that I found a way to display the lovely gifts we got at the wedding. It's so much better than hiding them in my kitchen cabinets!